Turangi Marine Limited is located just off State Highway 1 in Turangi near Lake Taupo and was established in this location since 1985. 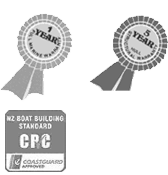 With a 3500 square foot showroom Turangi Marine is your one stop marine and boating needs shop. We are backed by our tried and true suppliers and over 50 years of skilled mechanical service department. Turangi Marine prides ourselves on providing expert advice and high quality customer service. We listen to our customers and do the work for you, so you can simply sit back and go boating. From bungs to outboards and boats or outboards, no question or purchase is too big or too small. We provide a great range of high quality new & used boats and engines, watersport gear and boating accessories. Our product range is tried and true. Our trusted suppliers include Buccaneer, Mac Boats, Hutchwilco, O'Brien, Trojan, Lowrance, BLA, Fusion, Endurant and Scotty products. We also hold with sales franchises for Yamaha outboards and Mercruiser engines. We stand behind our 100% factory and supplier backed guarantees on our product range. We are authorised service agents for Yamaha outboards, Mercury outboards and Mercruiser petrol inboards and Evinrude and Johnson outboards. Our workshop is stocked with up to date tools including computer diagnostics. 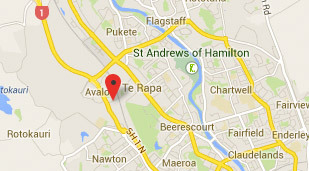 Our highly skilled mechanics are trained in the latest factory service requirements. Call us for any specials but note that it is advisable to book well ahead leading up to the summer holiday period.